The Ganges has always been held in a particularly high regard by most Indians. For me the fascination was mainly of the power of the great river flowing undiminished down to the plains of India from its high mountain origins. Rishikesh is the place where the Ganges descends down to the plains from its mountain abode, a place made all the more relevant as a holy place for the Hindus. Without any doubt the main attraction of Rishikesh is the Ganges. Here it is pure, unpolluted by all the wastes downstream. Soon, there are people wandering down to the water’s edge for the morning dip in the holy river. Men, women and children of all ages brave the cool air and submerge themselves in the water washing their sins away, as the Hindu belief goes...You feel a very frightening shock when you first step into the water...it is as cold as ice!! !...and it hurts! The entire town actually arranges itself along the banks of the river. The Ram Jhoola offers the first sighting of the true beauty and power of the Ganges. It is fairly wide here. There are a couple of floating bridges across the river, just above the water level. You really appreciate the might of the Ganges standing on this floating walkway. The waters are unimaginably fast and furious. The sound created is almost like that of a constant roar of thunder. The walkways are a perfect spot...you feel like standing right in the middle of the flow, standing as it were merely a meter and half above the water - to feel the might, the force, the majesty that drives the water down from the mountains down to the vast plains below. The Ganges is truly beautiful here. Pristine clear waters surrounded by the gentle slopes of mountains, with the odd eagle soaring above. But human greed is slowly taking hold here with the slopes gradually being raped for insensitive concrete jungles of resorts, ashrams and lodges. The banks are littered with ashrams, temples and facilities for pilgrims. Narrow lanes with curio shops on either side, shops selling religious paraphernalia; creating axises of movement. It is crowded in these narrow lanes – pilgrims, tourists, sadhus, beggars, cows, dogs; all hustling and bustling along to create a truly vibrant ambience. For the adventure junkies too there are lots on offer; right from white water rafting to mountain biking to trekking, camping etc. The Kochi-Muziris Biennale is proposed to be held in the port city of Kochi from 12.12.12 for a period of three months and tries to catapult Kochi and India into exciting world of contemporary art festivals held across various countries. It is all the more relevant as presently there is no art festival in India which can be proudly compared on an international scale. True, presently Kochi does not have the necessary infrastructure or systems in place for the conduct of such an event but it is an ambitious start to create a culture, to start a lasting dialogue. For this, the curators of the event Riyas Komu & Bose Krishnamachari must be commented and given the required support. As they say, this event will help in bringing about a lot of facilities for visual & other arts in Kochi, create a culture for appreciation & critical evaluation of art and architecture & hopefully make it more accessible to the common man. The Kochi-Muziris Biennale will be the largest contemporary art event in the country and will feature a variety of mediums from painting, sculpture, public installations, films, performance arts etc. by over 80 artists from India and abroad. For this purpose, exhibition halls, public spaces, heritage structures etc are proposed to be included as venues. ‘The exhibition will be an explosion of mindscapes set in spaces interspersed throughout Kochi, Muziris and surrounding islands. 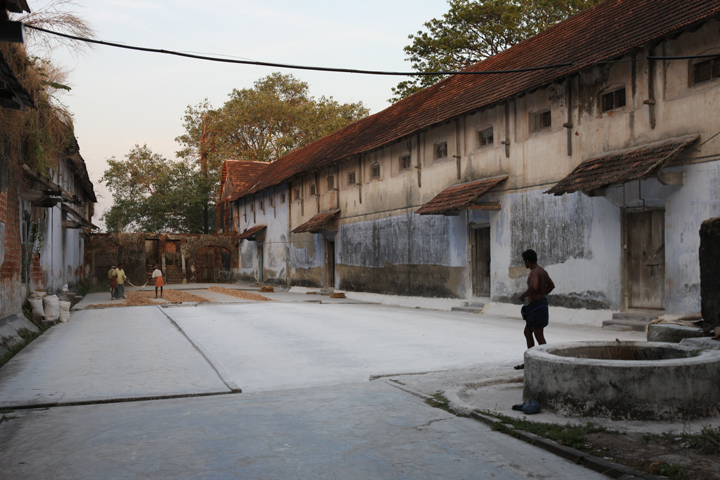 The Biennale will offer a citywide experience taking visitors from galleries in the heart of Kerala’s commercial capital to halls and homes in ancient Fort Kochi, to site specific installations in public spaces, heritage sites and hidden disused structures...’ states the brochure. From an architect’s point of view, one hopes that these initiatives will help in creating a stronger interaction between art, the public spaces and the common man. Ideas on integrating art into our public spaces and our lives need to be clarified and developed, importance of re-engaging with the public realm and the urban sphere needs to be highlighted and for this the Biennale hopefully will serve as an ideal platform. Today, there is an interesting situation confronting the handicrafts scenario in the country. There is an effort to take the beautifully and painstakingly created crafts out into the midst of the people, to make them more accessible as it were. Yet, the ironic part is that these handicraft traditions which were part and parcel of our culture and society have moved from an integral part of our life to a state of neglect and now presently to a perceived inaccessible elitist pedestal. Today, the general perception is that these natural materials are only for the well to do sections of our society while the common man finds only the synthetic materials cheaper and affordable. The painstakingly handmade artefacts of our karigars are no match for the cheap Chinese products and machine made competition. 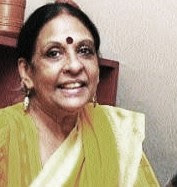 One lady who has done enormous service to the handicrafts scenario in India is Jaya Jaitley. From setting up the immensely popular Dilli Haat in our national capital to highlighting the issues facing our traditional artisans, she has done it all in a career spanning over four decades. The Dilli Haat, which was her brainchild, was set up in 1994 and provides a platform to bring the traditional crafts to a mainstream audience. The meteoritic popularity of the concept can be gauged from the tremendous public interest it receives even today with youngsters, families, tourists and foreigners thronging the place and patronising the various products on display. This not only gives the artisans a good boost monetarily, but also serves a more key role in dissemination of knowledge on our traditional heritage which needs to be preserved and encouraged. Jaya, originally hailing from Kerala developed her love for the aesthetic tradition when she was living with her father who was posted in various foreign locations as part of his job in the Foreign Service. Thus, Japan, Belgium and Burma, all played a part in forming her aesthetic sense. Later, it was the 12 years she lived in Kashmir where she worked with local craftspersons that really laid the foundation to her subsequent passion. Since then she has constantly worked along with the local artisans trying innovations and also helping to better market the products. She has travelled extensively all over the country, often living among the craftsmen so much that they’ve now become her extended family. Seeing the tremendous success of the Dilli Haat, other Haats have come up in various parts, but they are yet to replicate the tremendous engagement which Dilli Haat has managed to achieve and sustain. She rightly points out that these crafts are painstakingly made by hand and hence are to be valued more than the cheaper machine made products. But more importantly, they are a direct part of our culture and heritage, often the skill being passed from one generation to another. To maintain this chain of succession, it is important that the artisans are rewarded fairly so that they don’t feel the need to discontinue their profession and go in search of other greener pastures. Thus, it is imperative even from the government’s point of view to remove bottlenecks like access to raw materials and ensure fair taxation practices. This when added with a robust marketing platform will go a long way in tiding over other constraints and creating true empowerment, feels Jaya. Apart from the various books she has authored on handicrafts, her present passion is the Dastakari Haat which she has helped set up, which creates a whole range of traditional products with contemporary design sensibilities. The store which runs out of the upmarket Khan market in Delhi has ensured that the craftsmen get better visibility and a great platform to market their products. All these initiatives ensure that Jaya is still going strong in the process of upliftment and empowering of our great handicraft tradition and its proponents. The Kallayi village in Kozhikode, on the banks of the Kallayi river is famous for its timber mills. All along, numerous timber mills dot the banks of the river as far as the eye can see, with timber logs floating in the water to season. The river was used for transportation of the large logs of timber, especially from places upstream like Nilambur and the mills in Kallayi cut the logs to size. At a point in time, Kallayi was really famous on account of its timber trade and was said to be one of the largest places in Asia for the timber trade. It is even said that a lot of wood used in the construction of the Buckingham Palace was sourced from Kallayi. Today, however, the timber business has scaled down dramatically, mainly as tree felling was strongly regulated to prevent deforestation. Thus, what remains today are a stock of buildings along the banks of the river in various states of decay. A lot of the tiled roofed structures are still functional, being used as godowns for bamboo and other timber products. The single storeyed and double storeyed mangalore tile roofed structures are densely packed along the bank and form a very interesting juxtaposition of roof forms. Narrow lanes, winding along the banks of the river are defined by these buildings. Mighty, old, sprawling, majestic trees line along the winding streets and create a strong play of light and shadow on account of the sunlight filtering in between the leaves, creating a perfect ambience along with the earthy tones of the tiled roofs. It was early morning when I took a walk along the narrow lanes adjacent to the present Kallayi bridge. The timber merchants were slowly starting their business for the day, although most of the godowns were not locked down at night. A few old labourers sauntered past, whose faces were almost as rugged and weathered as the old tree barks. It was almost as if they were from a separate world, a rustic world far removed from the polished manners of the city. There is an inherent beauty in the old buildings here, although most of them were in various states of dilapidation. It is an architecture of inclined roof planes and forms as the main element of the superstructure, with walls being relegated to a porous enclosure alone. Roof planes define the volume inside, creates the scale, defines the edge of the street and creates a harmonious whole. There are beautiful details of balusters on balconies, cornice bands, brackets, rafters, jaalis. It is an architecture of earthiness – of wood and of earth.